Earlier in the month I made the trip down to Houston, Texas, for SNTX. This was StanceNation's third year in Texas and the second for me. The Texas stop was shaping up to be pretty special as it sort of ended up being a judge's showcase as four of the judges brought their cars out, and it almost marked the return of two rather special cars in the VIP scene. Thomas Pinai, aka The King of the South, brought out his famous Mode Parfume GS400, and Gio Dichiara brought out his Super Futura LS430. Neither of these cars have been shown in a few years, but since we were in their respective stomping grounds, Thomas and Gio decided to treat the crowd with a reappearance of two of the best cars the USVIP scene has produced. Also in our judge's showcase were Brendan's wide-body RS7, and Tom Siik's Mazda RX-7 with full S2000 body, chassis, and power-train conversion. ...like this wide-body Toyota Camry with a supercharged 2gr-fe swap from a Toyota Aurion, custom Aimgain kit from a Lexus GS, and full air-ride setup. There was also a healthy assortment of RX-7s from the usual suspects at Final Form USA. These guys have some of the nicest RX-7s I've seen. Judging was tough this year, especially when it came to the Best of Show. There were a few cars that were certainly worthy of taking home top honors. However, when the arguments were presented, 2017's BOS winner ended up with the crown again for 2018. It's pretty easy to see why this E36 keeps winning down in Texas. The details and execution on the car are top notch, and the car is a complete build. It'll be interesting to see how things turn out next year because I have a feeling that the cars that were close to taking home BOS this year are going to step it up for next year. I really enjoyed the Texas stop this year, and to me it felt like the smoothest show we've done to date. I also got to spend some extra time with a few of the guys as a couple of us flew in a day early and hung out with the locals. Minus the heat, it was a great time! I'm looking forward to next year's stop and hopefully I can work things out to bring a car as Texas is the closest stop to me. 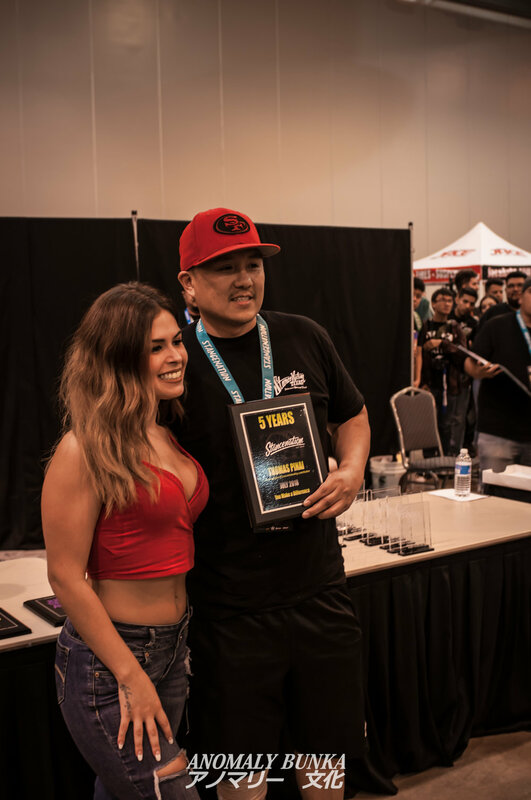 Also, congrats to Thomas for receiving a special award from StanceNation for 5-years of service! Posted on July 29, 2018 by Chris Anderson.